Farewell, 2015! 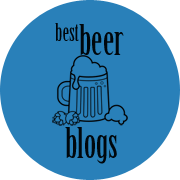 Time for a new year and new beer events! Fri., Jan. 1, 3-10 p.m.: New Year’s Day Tamales, TV’s, and Brewski’s at Factotum Brewhouse (3845 Lipan St, Denver). We know our crowd isn’t a bunch of amateurs and will be ready to get out on the first day of 2016 to get the weekend started properly. Sleep in, write your resolutions, then grab your friends, family or dog and come over to the taproom for some traditional New Year’s Day tamales by our well-renowned neighbors Tamales by La Casita! We’ll also have our brand new TV’s on and fresh, fresh, craft beer pouring. We will also be honoring The Passport Program‘s Winter Warmer on this day with our secret beer for passport holders. Fri., Jan. 1, 11 a.m.: New Year’s Day Holiday Hangover Party at Epic Brewing (3001 Walnut St, Denver). Have an Epic start to your New Year. Join us New Year’s Day for our Holiday Hangover Party. We know you hit it hard on New Year’s eve. So it’s okay if you want to show up in your PJs. In fact will give you 10% your beers if you do. We will open at 11a.m. on January 1st. We will televise the Bowl games. To help you get over the end over 2015 we will be pouring Beer-Mosas, Bloody-Beers, and we will have plenty of cold brewed coffee from Novo Coffee to blend with some of our favorite stouts or to drink straight. Roaming Bull will be parked and serving up brunch. See menu here. Wed., Jan. 6-Sun., Jan. 10: 5 Year Anniversary Party – 5 Days of Special Events at Crooked Stave (3350 Brighton Blvd, Denver). We are going all out for our 5-year anniversary with 5 days of special tappings, bottle releases and food pairings from our friends at The Source. We’re re-releasing some popular oldies and the first batch we ever brewed! See the full listing of tappings and releases here! Thur., Jan. 7, 6:30 p.m.: Vindication Brewing Company Satellite Taproom at West End Tavern (926 Pearl St., Boulder). The January 2016 of the West End Tavern’s Satellite Taproom series will feature Vindication Brewing Company from Boulder. Guests will get the chance to taste a full lineup from Vindication and meet the brewers themselves. Featured brews will be: Winchester Wheat, Mommentum IPA, Unbranded Red Ale, Mighty Pale Ale, American Bold Ale, Winter Warmer, Freedom Stout, Hop Therapy Double IPA, and Big Sampson Imperial Rye IPA. Vindication will also bring their own Ginger Beer to make Whiskey Gingers Dark ‘n’ Stormy’s! Sat., Jan. 9, 1-3 p.m.: Chili Cookoff at Diebolt Brewing (3855 Mariposa St., Denver). Diebolt will be holding its inaugural Chili Cookoff January 9th starting at 1PM. If you are interested in entering your own chili in the contest, please contact Matt at matt@dieboltbrewing.com. You do NOT need to purchase a ticket. If you are wanting to sample and vote for the different chilis you can purchase a ticket on Eventbrite or in the Tasting Room at Diebolt. One ticket includes the chili sampling and one pint of beer. Sun., Jan. 10, 12-3 p.m.: Coffee, Doughnuts, & Beer Pairing! at Ratio Beerworks (2920 Larimer St, Denver). Join us on Sunday for a delicious pairing of three of our favorite things: coffee, doughnuts and beer! Method Roasters and Carbon Beverage Cafe & Habit Doughnuts will be at Ratio Beerworks providing two pairings, one sweet and one savory, alongside our Domestica and a special blend of Domestica with Method Roasters cold press. It is really amazing how well coffee goes with beer and how doughnuts go with everything. Stop on by and see for yourself! $12 will get you both pairings. Tickets are available at Ratio and Habit at the bar. Walk-ins are always welcome day of as well! Fri., Jan. 15 (starting at 3 p.m.)-Sat., Jan. 16 (ending at 9 p.m.): CAUTION: West 2 Year Anniversary Party at CAUTION West (1057 S Wadsworth Blvd, Ste 60, Lakewood). Sat., Jan. 16, 2 p.m.: 2nd Annual Barrel Aged Beer Festival at Lowdown Brewery + Kitchen (800 Lincoln St., Denver). It’s true, we’ve been keeping secerets from you, but you can come have them all and more at our Barrel Aged Beer Festival. Eight of our favorite local craft breweries are joining us. No tickets. No cover. Just beer drinking. Sat., Jan. 16, 7-9 p.m.: Author Jonathan Bender’s Cookies & Beer event at Book Bar (4280 Tennyson Street, Denver). On Saturday, January 16, Jonathan Bender will be at BookBar for a reading from, signing of and sampling for his new book Beer and Cookies: Bake, Pair, Enjoy. Victory, Love + Cookies–a local bakery in Denver–will provide cookie samples, while Call to Arms Brewing of Denver will provide beer for pairing! Tue., Jan. 19, 7 p.m.: Barley’s Angels event: Aging Beer with Andy Parker at Avery Brewing (4910 Nautilus Ct., Boulder). Avery’s Andy Parker is the man behind many of Avery Brewing’s extreme barrell aged beers. 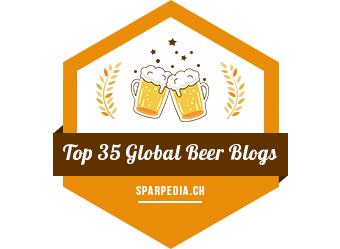 He’ll be meeting with our group to sample and talk about these beers and about cellaring for the long term. The night includes 3 samples and snacks from Avery’s kitchen. Tix: $20.00 $5 payable to reserve a seat and the balance due on the night of the event. Wed., Jan. 20, 5:30 p.m.: Barley’s Angels event with Former Future and Brewed Food: Feasting on Fermentation at Former Future (1290 S. Broadway, Denver). Join us for happy hour and an event that takes cooking with beer to the next level. Chef/Cicerone Jensen Cummings is working with James Howat of Former Future to see how the premium ingredients James uses in his beer can create amazing food that pairs with beer in new ways. Tickets are $20: $5 to reserve your seat and $15 due at the event. 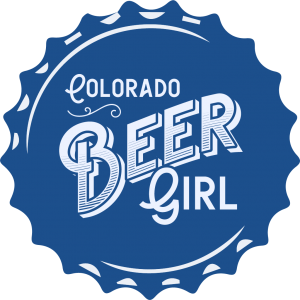 Tues., Jan. 19, 2016, 6-8 p.m.: Women’s Only Craft Beer Class (Part 1 of 3) at Factotum Brewhouse (3845 Lipan St, Denver). Have you ever wondered what the difference is between a lager and an ale? What about all of those acronyms like ABV and IBU? Are you for certain that you wouldn’t like a beer that is dark in color? Maybe you’re a wine connoisseur looking to expand your horizons with Colorado’s signature beverage? Possibly you just moved to this great state and you haven’t been exposed to the rich variety of craft beer? If so, you’re a perfect candidate to attend the first of a 3 part series, designed just for women, who are interested in learning more about craft beer. Join this low key, friendly, no pressure, and FUN session while getting a proper introduction to the great world of craft beer. The first class will focus on craft beer lingo, the four main ingredients of beer, the basic equipment of brewing, and common abbreviations (ABV, IBU). Sat., Jan. 23, 12-8 p.m.: CANniversary at North Dock at Dry Dock Brewing Co. (2801 Tower Rd, Aurora). Canoe Room at North Dock is celebrating the third anniversary of Dry Dock’s canned offerings! Join us on Saturday, January 23rd from noon to 8pm for live music by Chris Dismuke Music, eats by the Jessie’s Smokin’ NOLA truck, and your chance to win free Dry Dock beer for a year among other raffle prizes. On Saturday, Jan. 23 the Town of Frisco will partner with New Belgium Brewing to present the inaugural Frisco BrewSki, a happy hour ski tour at the Frisco Adventure Park and Frisco Nordic Center. At the event, New Belgium will release their new Citradelic IPA during the event for 21+ participants to sample. From 2-4 p.m., the ski portion of the event will start at the Frisco Adventure Park Day Lodge and travel through the scenic terrain of the Frisco Nordic Center, with occasional stops for food and beverages. The family friendly event welcomes all ages and skill levels, and costumes are highly encouraged. An after party will take place from 4-6 p.m. at the Day Lodge, where prizes will be awarded for best costume, most difficult costume to ski in and more. Advance registration is $15 per adult and $10 for youth ages 17 and below; day-of registration is $20 per adult and $15 for youth. Participants must register as teams of 2-4 people, and provide a team name upon registration. To register, please visit www.FriscoBrewSki.com. Thu., Jan. 28, 6:30 p.m.: 5-Course Beer Pairing Dinner at Colorado Plus (6995 W. 38th Ave., Wheat Ridge). Join us once again for an amazing evening of great beer, food, and company. Meet Chef Jan and Head Brewer Adam Draeger as they explain the subtle nuances and passion for what they do. $50/Person tax and gratuity not included-reserve seating only. Fri., Jan. 29-Sat., Jan. 30: Two Year Birthday Extravganza! at Former Future (1290 S. Broadway, Denver). Last year was one hell of a party. The return of Cat Sabbath – this time with even more power! Perhaps we’ll even tap some Black Project Spontaneous & Wild Ales? Sat., Jan. 30, 12-8 p.m.: North Dock Food Truck Pairing Series with the Crock Spot at Dry Dock Brewing Co. (15120 E Hampden Ave., Aurora). Every month in 2016, Canoe Room at North Dock is collaborating with a local food truck to present specialty food and Dry Dock beer pairings. The first of the series features The Crock Spot. Check out their menu at thecrockspot.com. North Dock is located at 2801 Tower Road, Aurora, CO 80011. The tasting room is open from 2 to 8pm on Thursdays, and 12pm to 8pm on Fridays and Saturdays. Sat., Jan. 30, 11:30 a.m.: The Corner Office Restaurant & Martini Bar Brewers Brunch featuring Avery Brewing Company (1401 Curtis St., Denver). Previous Post Thirsty Lion Launches Breakfast Menu! Next Post Cheers to 4 Years!